In part 1 of our three-part PSP retrospective, oprainfall’s Karli Winata looked back at the pre-release hype surrounding Sony’s portable gaming system. In part 2, he examines the reality that clashed with the expectation. 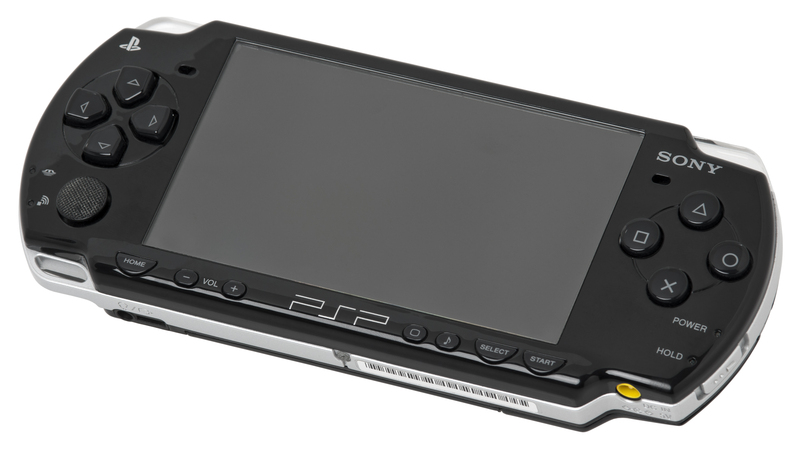 2006 would ultimately mark the PSP’s most successful year. Over 150 titles were released for the system, but by 2008 and onward, the system would have fewer than a hundred titles released for it per year. A year past the PSP’s release, publishers quickly lost interest in publishing for the system. Despite having some early successes early in its life, like Grand Theft Auto: Liberty City Stories, people’s interest in the system waned. One possible reason for the loss in interest for the PSP was timing. E3 2005 shifted focus from handhelds back to home consoles, with both Sony and Nintendo announcing their next home console. Sony’s PlayStation 3 wowed convention goers with some over-the-top revelations about what the PS3 was capable of. Nintendo didn’t go so far over-the-top. They revealed a couple of tantalizing bits about their upcoming console, but nothing overly major. What did get people’s attention was its codename, Revolution. Codenames generally have no bearing on the actual console’s capabilities or its final name—the Dreamcast was codenamed Katana, and the GameCube was called Dolphin. But the Revolution caught people’s attention on its namesake alone, a moniker that gained some credence when Nintendo showed off its unorthodox controller later that year. The PSP was present at the convention, but Sony dedicated their entire press conference to the PS3. All the news that came out of the conference was about the next-gen consoles, from Microsoft’s impending Xbox 360 release to Sony’s impossibly pretty Killzone 2 showing during their press conference. All eyes were on the future of the home console, and its implications would not do the PSP any favors. The PSP was supposed to be a home console in your pocket, but home consoles were moving towards high definition. Graphically, the PSP might be comparable with the PS2, but it could never emulate the likes of the PS3 and the Xbox 360. Games like Fight Night Round 3 might have done better on the PSP if their home console brethren didn’t become the HD home console showcases they turned out to be. This pattern continued with every port of an HD game. The PSP version was simply forgotten or outright ignored. Another case of bad timing was the rising popularity of first-person shooters. The era of the Xbox 360 and PS3 was dominated by the FPS, and the two consoles served the genre well in return. The two had controllers ideal for the FPS, the graphical fidelity to show the chaos, and Internet connectivity for multiplayer. The PSP would prove lacking in all these aspects and more. Having only one analog stick, or nub in this case, made it impossible for the system to recreate the dual-stick experience. Most that tried, like Coded Arms and Medal of Honor: Heroes, resorted to the old Nintendo 64 tactic of using face buttons as an analog stick proxy and some generous auto-aim. For all the power of the PSP, the FPSes of the time required much more. Enemy AI required processing power akin to what the PS3 could do. The alternative was to have enemies that moved too predictably, destroying any sense of challenge. 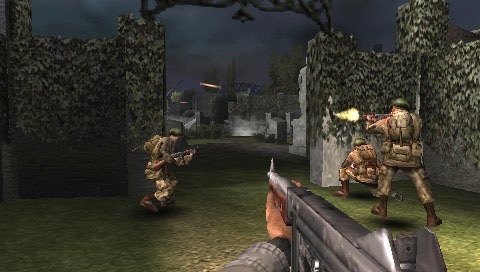 The graphical fidelity of the PSP wasn’t able to replicate the visceral act of shooting or the chaos of the battlefield, a hallmark of the Call of Duty games that have become popular nowadays. The burgeoning multiplayer scene was an ill fit for the PSP, as well. The PSP was capable of Internet connectivity. It was among the first portable electronic devices to have Wi-Fi capabilities, but being a portable system meant it would be used outside. Back in the mid-2000s, one would find a functioning public phone (remember those?) before they could find an open Wi-Fi access point, and Starbucks wouldn’t introduce free Wi-Fi in their locations until 2010. Multiplayer on the PSP meant playing at home. If ports were not the system’s strong suit, then the original content would have to carry the weight. The system had its fair share of those. Exit was a quirky puzzle game where you played as an escape artist who helped people escape from burning buildings, cave-ins, and other similar situations. LocoRoco was a game about guiding the titular globular LocoRocos through various levels by tilting the world. These whimsical games, and a couple others, stood out in the PSP library in the early years, but that put the system right back into Nintendo’s turf, where they were soundly being beaten. The Nintendo DS may have stumbled out of the gate, but it quickly found its footing. 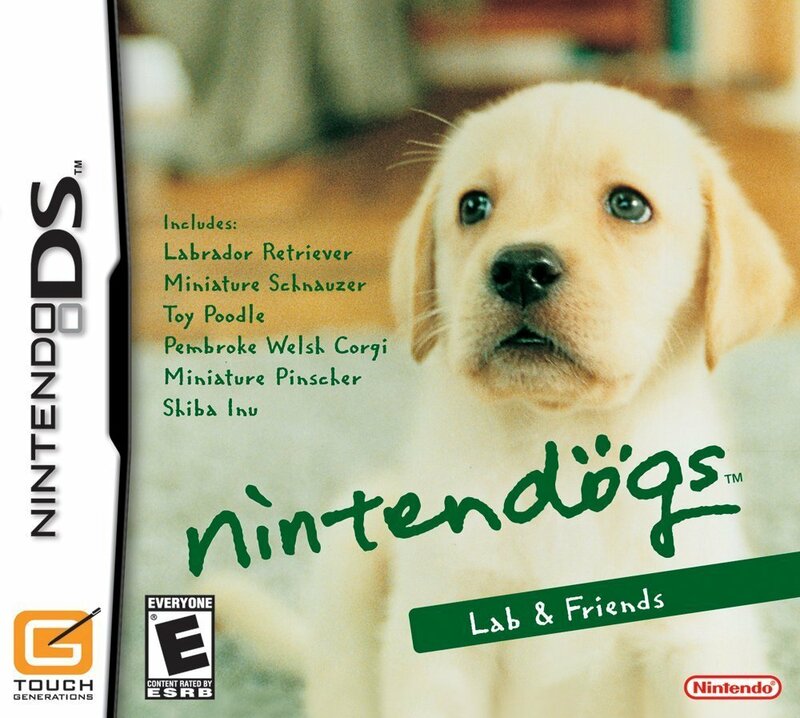 Nintendogs showed us why the world needed a handheld system with two screens and a touchscreen. From there, the system took off, never looking back on the days it tried to compete with the PSP on its turf. The DS never tried to be a home console, as evident by having a unique interface and even by being underpowered. No DS developer ever bothered to try and match the graphics of anything released on a home console. Instead, they found ways to do it differently, like using 2D sprites instead of 3D polygons. The DS would go on to be Nintendo’s most successful console to date, handheld or home. That left the PSP with absolutely nowhere to be. It wasn’t all bad news, though. The system continued to sell pretty well, but curiously, software sales remained fairly low. If people were buying the system, what were they using it for? Despite the system’s multimedia nature, the answer wasn’t to watch UMD movies. That well dried up rather quickly. What can account for the discrepancy? The answer, at least according to Sony, was piracy. Hackers found ways around the system’s anti-piracy measures very early in the life of the system, and no amount of PSP updates and redesigns could stop it, either. Piracy has plagued every console system since the very beginning, but in the case of the PSP, the problem seemed to be worse than usual. In 2010, the Computer Entertainment Supplier’s Association (CESA) of Japan estimated that Dissidia: Final Fantasy, released in December 2008, was illegally downloaded over 5 million times. Compare that to the DS’s most pirated game, Pokémon Platinum, which was estimated at around 2 million. Dissidia’s illegal download numbers are especially distressing when compared to its lifetime sales. VGChartz has it down at around 2.19 million units, with Pokémon Platinum at about 7.61 million units. Some credit the ease of hacking the PSP as the reason for its prevalence. Whatever the reason, piracy most certainly cemented the perception of the PSP as a failure, especially in the eyes of publishers. Ru Weerasuriya was the Creative Director of Ready at Dawn. He worked on both God of War: Chains of Olympus and God of War: Ghost of Sparta for the PSP. In an interview in 2010, Weerasuriya expressed his dismay at the piracy issue. This issue undoubtedly led Sony to try something that had never been done before. Before E3 2009, rumors of a redesigned PSP were already swirling about. Some thought maybe it would be integrated with a phone. Sony did have Ericsson, after all, and the rising popularity of the iPhone had proven that a cell phone might be a good place to stash a portable gaming console. What we got instead was fairly revolutionary its own right, not that it mattered. No, it doesn’t play Angry Birds…yet. 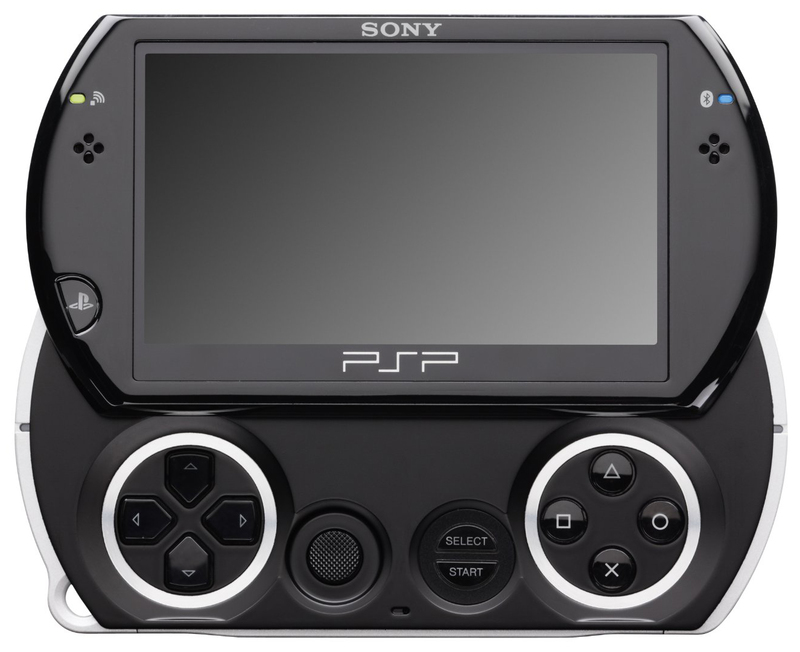 Officially revealed during Sony’s E3 2009 press conference, the PSP Go was a fascinating offshoot of the PSP. First of all, it was not meant to replace the current design of the PSP. That PSP would continue to be made and sold. The PSP Go would be sold alongside it as an alternative. Second, it may very well have been the first video game console to rely entirely on the digital format. The PSP Go had a 16 GB internal flash drive to store downloadable games and could be expanded to 32 GB with a Memory Stick Micro. This decision was a revolutionary concept. The idea of an all-digital future was already circulating the general populace, and having Sony be the first to pull the trigger seemed rather appropriate. But having the courage to do something revolutionary is entirely different than knowing where to do it. If the PSP Go was to be a truly digital system, it would have no need for a media drive of any kind. The UMD drive had to go. In a lot of ways, this freed up the design of the Go. They didn’t have to worry about where to put the UMD drive or the energy needs of the motor to spin the UMD. As small as UMDs were, they were fairly bulky in the realm of portable systems. This meant they could shrink the device down, and they could do it without sacrificing battery life. They were able to improve the screen, no doubt a byproduct of having extra battery life to spare. The smaller form factor coupled with a purely digital library made this iteration of the PSP the most portable gaming system not named iPhone. But it would ultimately be the device’s downfall. Who exactly was this device for? If it was meant to entice PSP owners to have a more portable way to play their PSP games, then why couldn’t it play PSP games on UMDs? The concept of downloading games onto a device was still in its infancy in 2009, and most everyone, pirates exempted, still relied on physical media to get their games. There was a transfer plan in place for PSP owners, actually. In the UK. For up to three games. From a list of 17 games. It’s pretty clear: having a PSP Go would mean starting fresh in the PSP realm. Maybe it’s meant for newcomers. Actually, they had even less incentive to do so. Not every PSP game was available digitally. Of course, most of the big-name titles were available, but if they wanted to experience Aliens vs. Predator: Requiem or Call of Duty: Roads to Victory, they were going to have to get themselves a regular PSP, preferably the cheaper used ones because the PSP Go was priced at $250 (or €249 or ¥26,800). For another $50, they could get a PS3, or even more damning, for $50 less, they could get a then-newly released PSP bundle that came with Assassin’s Creed: Bloodline and a movie. Even if they didn’t care about the back catalog of the PSP, they still had a problem. Sony could not guarantee a digital release of every future PSP title. Kingdom Hearts: Birth by Sleep, released mere months after the PSP Go’s October 2009 release in North America and Europe, ended up being the poster child of this issue. As of this writing, it’s still not available digitally. All these troubles stemmed purely from leaving out the UMD drive. No amount of price drops and incentives were enough to save the device. Sony would discontinue production of the Go April 2011, 18 months after its release. The PSP fell far from grace, forced to subsist in the shadow of its own hype. Did it ever crawl out of this shadow? Find out in part 3 of our PSP retrospective. Sony released the first redesign of the PSP in August 2007. 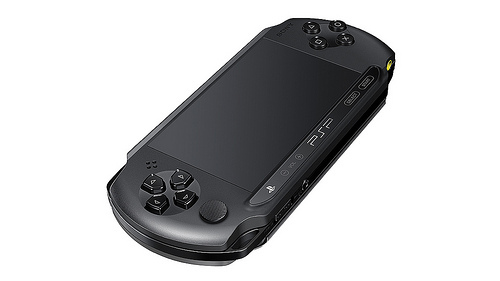 Dubbed the PSP-2000, this redesign was noticeably lighter and slimmer than its predecessor. Internally, it sported twice the internal memory to reduce load times when playing games. The screen had been made brighter, which seemed to cause some issues. Various users reported ghosting issues with the PSP-2000. Ghosting occurs when a moving image leaves behind a sort of afterimage of where it had been. It’s as if a ghost were following the moving image, hence the term “ghosting.” This issue was directly addressed with the next redesign the following year. Very little changed between the PSP-3000 and the 2000. Released a mere 14 months afterwards, this redesign seemed explicitly made to correct the ghosting issues of the 2000. The pixel response time of the screen was reduced by half to alleviate the ghosting issue, but another problem cropped up to take its place. Scanlines are normally the holy grail of retro gaming, but when it shows up in a modern system like the PSP, it becomes a bit of an issue. Users reported seeing these unwanted scanlines while playing. Sony acknowledged the problem but couldn’t fix it. It was a side effect of remedying the ghosting issues, and since their solution was made through hardware, they couldn’t fix it with a system update. It seems almost every console goes through a budget version phase eventually, and the PSP was no different. 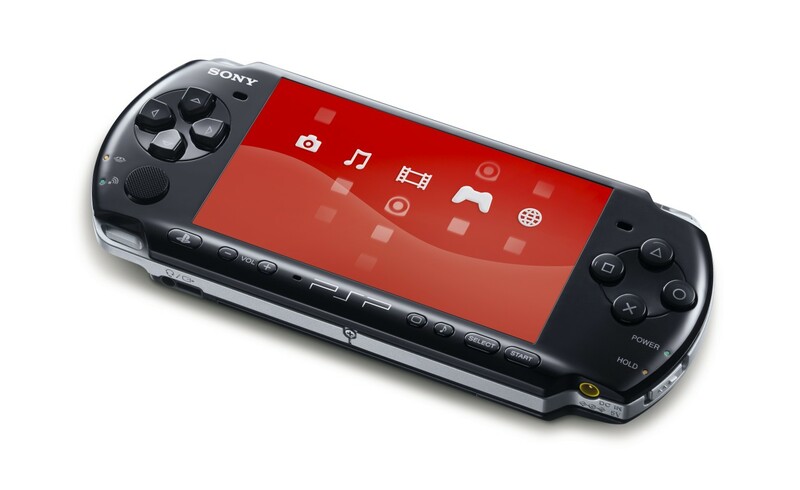 Released in October 2011 in Europe only, the PSP-E1000 was made to be affordable, coming in at €99. Naturally, some features were cut to achieve its price tag. Instead of stereo speakers, the E1000 only had a mono speaker, although plugging in headphones would still generate stereo audio. The microphone was excluded, as well. The big change was the exclusion of Wi-Fi capabilities. This meant the system couldn’t connect to the online store Sony hedged their bets on with the PSP Go. It also meant the E1000 was incapable of multiplayer, both online and local. Throw in the fact that the E1000 was bigger than the 3000 and 2000, and that €99 was only €30 cheaper than the 3000 at the time, and it’s not hard to see why it wasn’t all that popular.